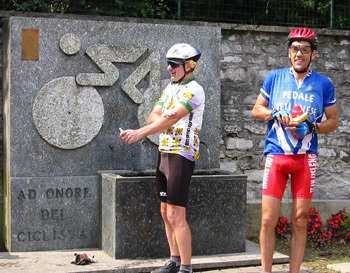 I participated in a wonderful, two-week, 10-stage tour in Northern Italy in the summer of 2001 (organized by and for Santa Rosa Cycling Club members). 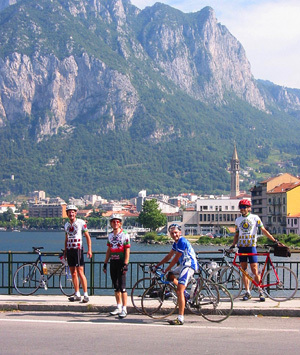 I logged almost 600 miles and 60,000′ of gain over the ten stages, and explored spectacular cycling roads and landscapes from Southern Switzerland, through Lombardia, Emilia-Romagna, Tuscany, Cinque Terra, and all the way south to Rome. I never prepared a formal, stage-by-stage write-up of the tour, and the maps we were working with are not worth reproducing. But I did write a couple of articles about the tour. 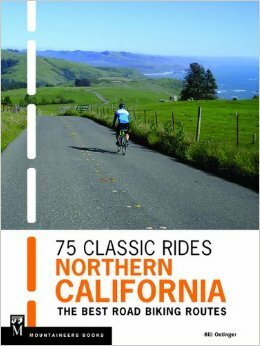 To read my observations about this delightful journey, visit this column and this column at my BikeCal.com site.